Galvanization is the process of adding a protective coating of zinc to iron or steel to prevent rusting. There are different kinds of methods that are used to apply zinc and some of the most common methods are: zinc electroplating, mechanical plating, Sherardizing and hot dip galvanizing. Hot-dip galvanizing is the process where iron or steel is dipped in molten zinc. This process gives a thick coating of zinc and a layer is formed between the inner surface of the zinc and the iron or steel. Electro galvanizing is the immersion of iron or steel in a solution of zinc sulfate and cyanide. Sherardizing is the process wherein iron or steel is placed in an air free enclosure with metallic zinc dust. Galvanizing carries with it numerous benefits to any architectural structure. Galvanized steel or iron does not require maintenance and has a long service life. The maintenance cost of galvanized steel or iron is low because the galvanized metal does not require additional painting or regular maintenance. 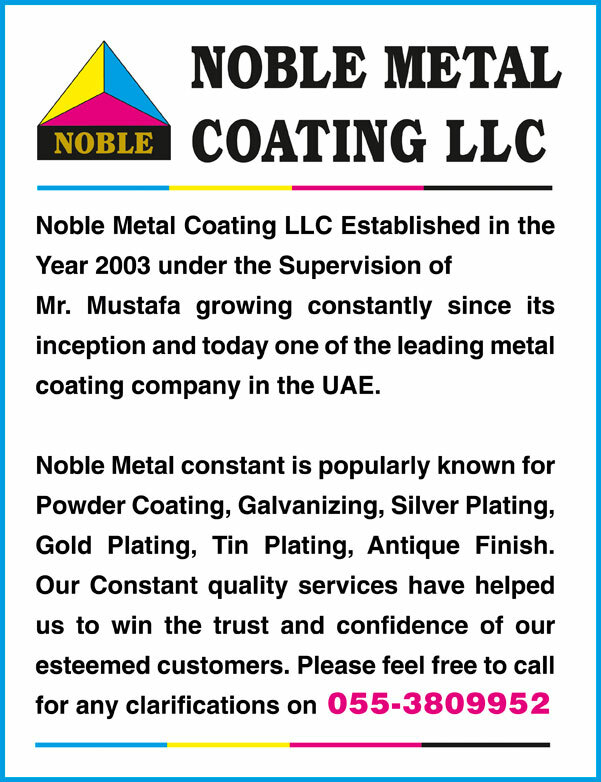 The zinc coating protects the metal from rust, the elements of nature and other corrosive elements. Galvanized steel can be easily installed and no additional time is required for on-site preparation or painting. Galvanized steel and iron is used for both industrial and domestic applications. A galvanized steel structure has a long life span extending up to 50 years or more. Companies in UAE that provide galvanizing services are located at Mussafah industrial area in Abu Dhabi, Industrial area 13 and Hamriya free zone in Sharjah and Rashidiya in Dubai. 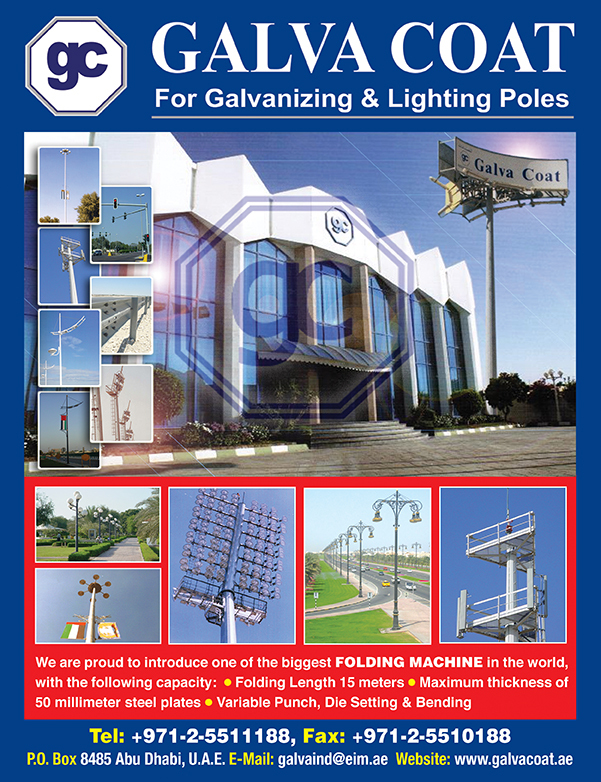 These are some of the most prominent locations in UAE to find professionals who deal with galvanizing in UAE.